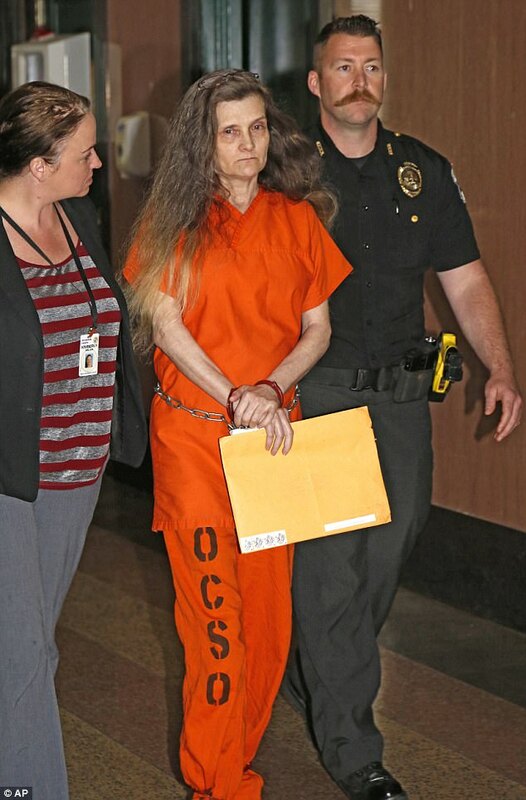 A grandmother who abused her seven-year-old granddaughter and terrorized the girl while dressed as a witch she called Nelda has been sentenced to three consecutive life sentences, as shocking video of the cruel charade emerges. 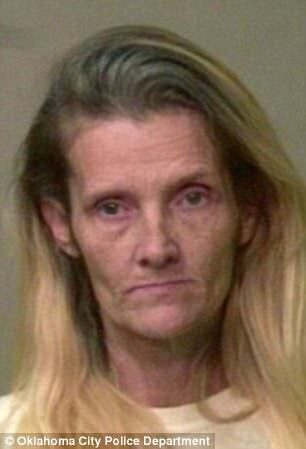 Geneva S. Robinson, 51, was sentenced in Oklahoma City on Thursday, after having pleaded guilty to five counts of felony child abuse. 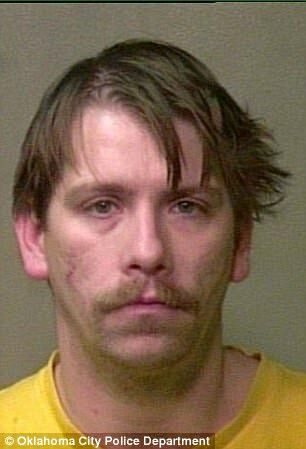 Her boyfriend Joshua Granger, 33, was sentenced to 30 years for his role in letting the abuse go on. Prosecutors say that Robinson ran a 'house of horrors' where the victim was 'repeatedly tortured' and told that witches and creatures lived in the attic when she lived there in 2014. Prosecutors say that Robinson often dressed as the witch Nelda, while Granger masqueraded as a demon called 'Coogro'. At sentencing, prosecutors for the first time revealed in court an alleged video of Robinson dressed as Nelda. 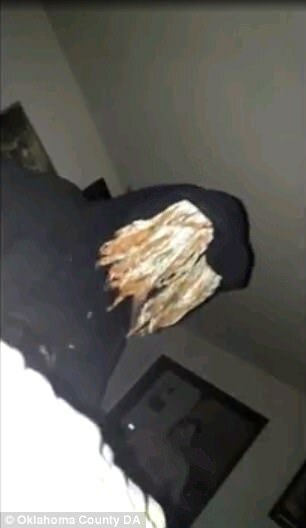 The video shows a figure dressed in black and wearing a wig, with her hands painted green and what appears to be a mask. 'Grandma's sick because of you. You go with the witch,' Granger can be heard telling the terrified girl. The child pleaded, promising she'd be good. 'I promise, witch. I promise,' the girl said. 'Give me a fork and a knife,' shrieked 'Nelda'. Prosecutors say Robinson told the girl that witches eat bad children. Delivering her sentence, Judge McElwee held up two photos of the young abuse victim, taken before and after she was sent to stay with Robinson. The first showed a smiling girl with 'sparking eyes', the judge said. The second showed the girl with her hair buzzed off, bruised, blistered and unsmiling.